If you are looking for an Andalucian retreat, then we think you have found it! 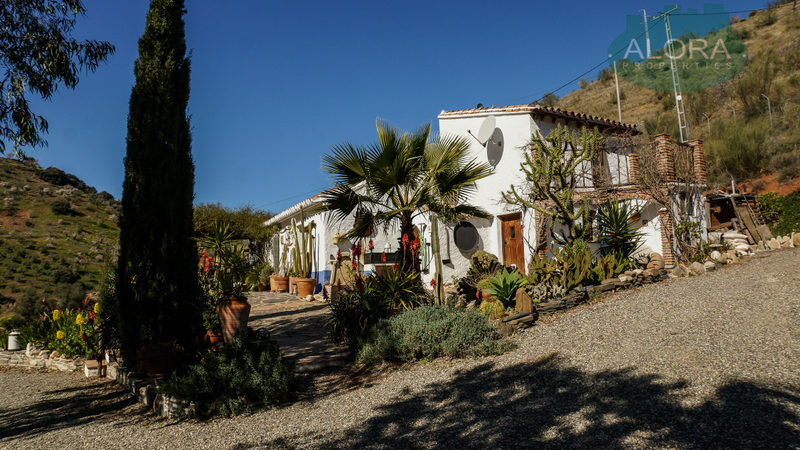 This very charming finca is located nestled in 10.000 m2 of almond grove in a very tranquil position, and yet, just a few kms from Alora pueblo. The current owners have lived here for almost two decades and have created a little haven. The traditional house has been tastefully restored to provide a very comfortable 5 bedroom, 2 bathrooms home. Much thought has gone into the restoration and many original features have been incorporated including traditional fireplace, wooden beans and traditional bread oven. The accommodation extends to 131 m2. There is a fabulous terrace to the front of the property with a pergola draped with Winter Jasmine providing nice soft shade and a lovely perfume in the evenings. One enters the property directly into a very welcoming reception lounge which hosts a feature fireplace hosting a good quality wood burning stove. Adjoining the lounge is a separate dining room which could also be exploited as a fifth bedroom. There are currently 4 double bedrooms and two bathrooms. An attractive rustic style kitchen featuring hand crafted wooden worktops and hosting a second wood burning stove to provide a really cozy atmosphere, completes the main living accommodation. One particularly attractive feature of this property is a mezzanine room currently exploited as a bedroom and enjoying a private balcony. In addition to the main house there is also a workshop/garage. The current owners have, over the years, created a very established, low maintenance, garden area immediately around the house. An area of approximately 2.000 m2 around the house has been fenced making it ideal for keeping horses or indeed any animals. The remainder of the land is almond grove. This property enjoys connection to main electricity and natural spring water. This property really is very charming and highly recommended.